Would you like to make the studying process less boring and more productive, less time-consuming and more informative? It is not a problem anymore. In the era of modern technologies, which provides students and teachers with the wide variety of applications, your studying efforts have become less exhausting. It is a free resource available for iOS and Android. It is a useful and easy educational tool for both teachers and students. It allows creating, discovering, sharing and learning without any difficulties. GoConqr is great in helping a user to stay organized and well-informed with the help of the variety of tools, which its service provides such as mind maps, quizzes, flashcards, notes, and planner/calendar. With the growth of the number of users, we are likely to expect the updates of that helpful learning resource. It is a scanning app with the help of which you can receive a ready-to-use document simply by shooting a photo of any necessary resource (PDF, Word, PowerPoint, and even text, written on a whiteboard are discerned). Office Lens automatically imports any format of text onto your device and, in some cases, provides a user with the editing function. It is an “answer engine” available for iPads. All you need to know about the app is that it generates the answer for a specific, factual question so it is better to put interrogative sentences like ”when”, “who”, “what” instead of less clear “why”. It doesn’t belong to the study apps like those described above, the brain training games, which it provides, make Lumosity one of the recommended apps for students in 2017. Being based on the science and neuroplasticity, Lumosity helps to boost brainpower, become cleverer, increase person’s IQ as well as make a person less distractive. Lumosity is a perfect mental workout, especially, for students, who are about to pass their exams and tests. Try this one for cognitive training and personal development. It is a free handy app that prevents your Mac from falling asleep, dimming the screen and launching the screensaver after a certain period of time. Like a cup of coffee makes you feel awake, a shot of Caffeine makes your computer study or work longer without interruptions. It is considered to be another effective app, which allows blocking access to undesired websites, hence, doesn’t allow a user to be distracted by annoying notifications or be interrupted by messages and updates from social networks. SelfControl enhances person’s productivity level keeping him or her away from websites that prevent from studying up to 24 hours. Find it difficult to focus? Download the free SelfControl app and don’t worry about anything. It is the best memory training app available for iOS and Android. It allows preparing to the exams on time and remembering more study information, better and faster. Make sure that learning is fun. 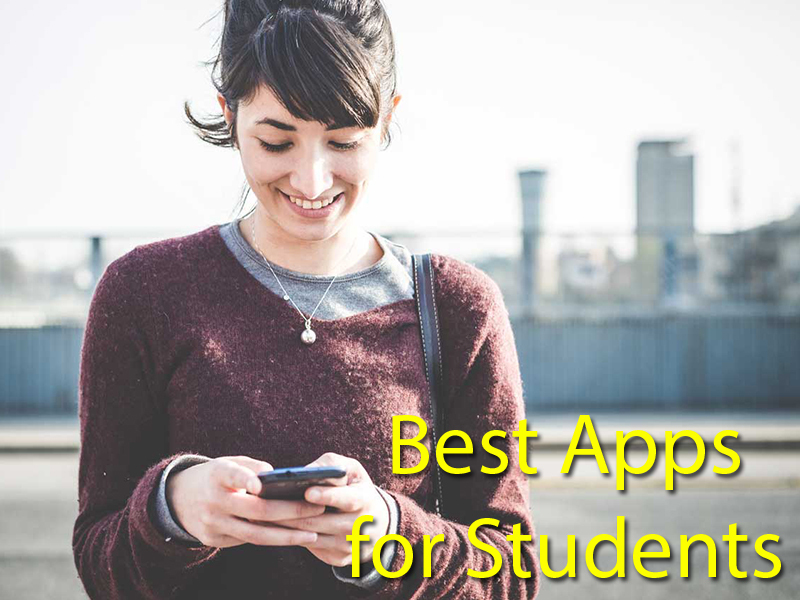 Become cleverer and improve your academic performance with the help of effective productivity apps. Nothing is impossible, if you know how to get what you want.